The name YXLON stands for assurance and quality for all types of cast parts, for instance aluminum wheels, bolts or cross struts, for automotive components bearing a relevance to safety such as airbags, for tires, electrical and electronic components, turbine blades, welding seams and a lot more. Our product portfolio encompasses X-ray systems for installation in X-ray inspection rooms, universal X-ray systems based on full-protection devices, solutions matched specifically to a customer, manual and fully automatic systems that can be integrated into any production process. 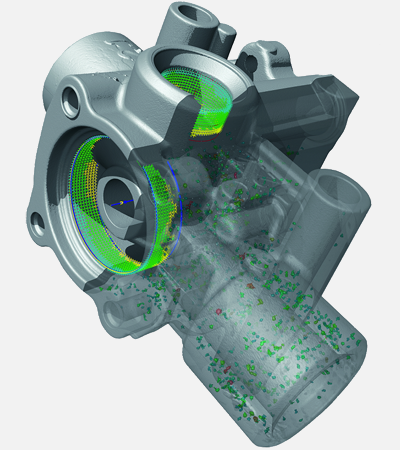 YXLON software for processing X-ray images ranges from programs for image acquisition and archiving all the way to the fully automatic analysis of X-ray images. 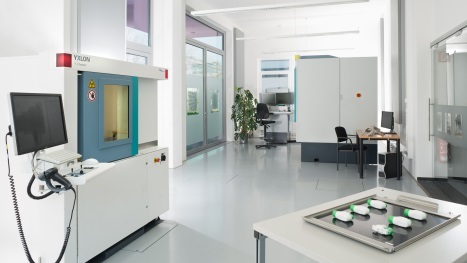 YXLON offers a comprehensive Application Service for 2D to 3D applications at its well-equipped application centers in Hamburg, Hattingen, Heilbronn, Peking Hudson and San Jose. As an outsourced company of Philips, our roots go back to C.H.F. Müller, the manufacturer of the first X-ray tube, and to W.C. Röntgen, the man who discovered X-rays in 1895. Due to our fundamental knowledge and expertise in X-ray technology and the image chain combined with the joy we experience in development and innovation we have been keeping our market leadership in the field of industrial X-ray inspection for decades. Today we view ourselves as a ‘system house’ that always finds the right solution for our partners in the field of material testing and inspection, and one that ensures the highest quality for its products.